For a Bengali born and brought up in Kolkata, but living outside, a visit to the city brings back fond memories of the food one has enjoyed during childhood. Apart from the local Bengali fare and the Chinese food from the Tangra area, the city has its own delightful versions of Mughlai and Continental cuisines. The Mughlai cuisine of Kolkata has evolved from the kitchens of Awadh (stemming from the chefs of Nawab Wajed Ali Shah, who was detained here by the British), khansamas from UP/Bihar as well as the Nawabi cuisine of Murshidabad. The restaurant which has got iconic status serving this food is Arsalan at Park Circus. On a Sunday afternoon, there was a queue of waiting people on the footpath in front of the restaurant which is bang on the Park Circus crossing. It took around 15 minutes to be ushered upstairs to a table. The place was congested, not well lit, with a funny blue lighting. Since we were clear about what we wanted to order, it did not take much time for the food to be served. The Special Mutton Biryani was fragrant and mild. It is a huge departure from the spicy Hyderabadi version which I am accustomed to. The biryani had two pieces of medium sized soft and succulent mutton, one large potato and one egg. 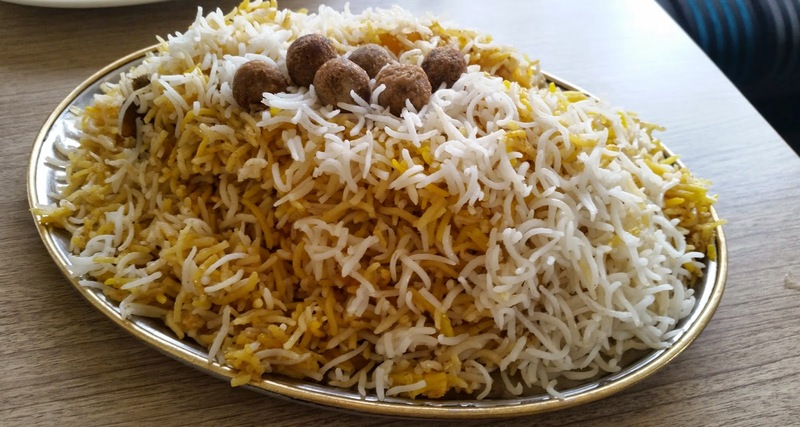 The long grained basmati rice had the flavor of ghee and kewra water, and did not leave an aftertaste of vanaspati which is the norm with many places serving Kolkata biryani. 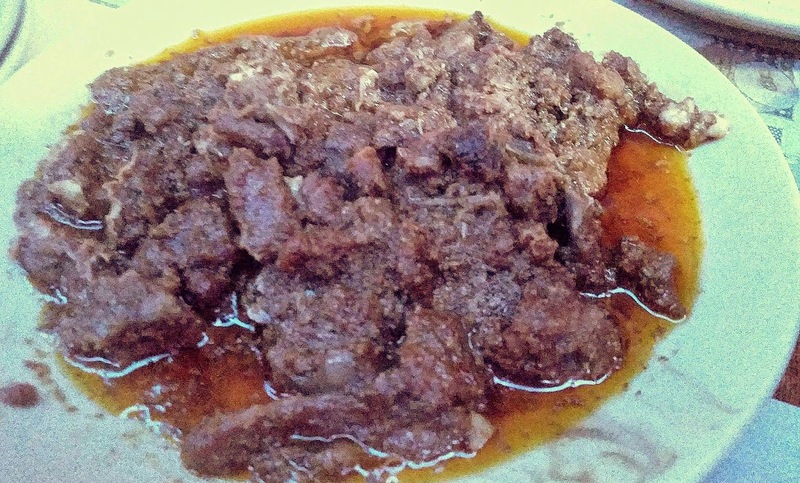 The Mutton Chaap and Mutton Rezala were the other dishes we ordered and they did not disappoint at all. 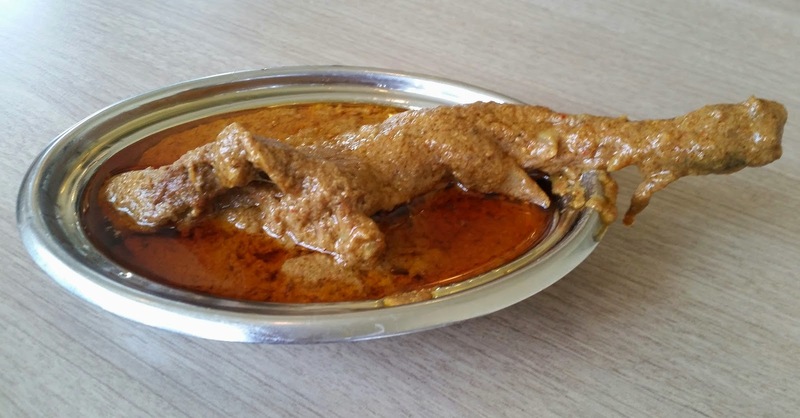 The sweet and sour, curd and cashew based gravy of the rezala soaked into the soft tandoori roti was sheer heaven and the spicy and oily chap found its perfect foil in the roomali. At Rs 700, Arsalan provided another unforgettable experience which I will savour till I come back next year. The second Mughlai restaurant we went to was Aminia, at Gol Park. The ambience of this place is better than most Mughlai restaurants in the city. We had heard a lot about the Awadhi Biryani here. So we ordered the same with Chicken Chaap with tandoori rotis. The Awadhi Biryani had enough rice for two persons and apart from two pieces of mutton, boiled egg and a piece of potato, it had few pieces of mutton keema balls on top. The biryani was not as spicy as Arsalan, with stronger flavor of vanaspati. The chaap was decent in taste though here also there was excess dalda in it, which was a put off. The above dishes cost us around Rs 500. 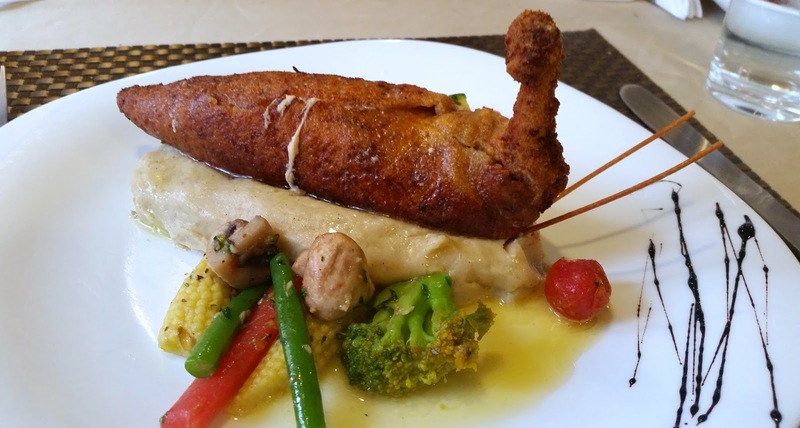 Kolkata is also famous for its own adaptations of continental food including the famed Anglo-Indian cuisine, made legendary by restaurants like Mocambo in Park Street. We bumped into a new restaurant called The Blue Door near Southern Avenue. Situated in a residential house, the restaurant is spread over multiple rooms of a house, in a very cozy environment. We took help of the wait staff in ordering and were not disappointed. 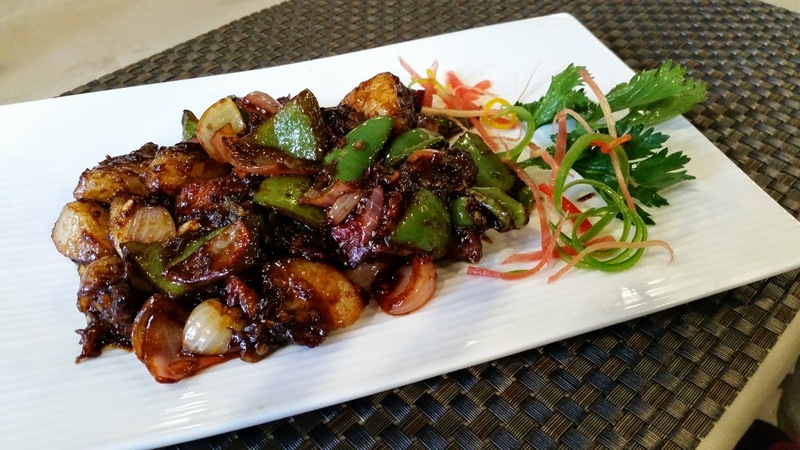 Spicy Roast Chili Pork, the starter ordered, had very good quality pork with onions and capsicum. The soft meat blended well with the fat and the spicy sauce. Chicken A La Kiev was presented very well, served with mashed potatoes, broccoli and baby corn as sides. As usual I was delighted to see the butter oozing out as we dug into the breaded chicken breasts. 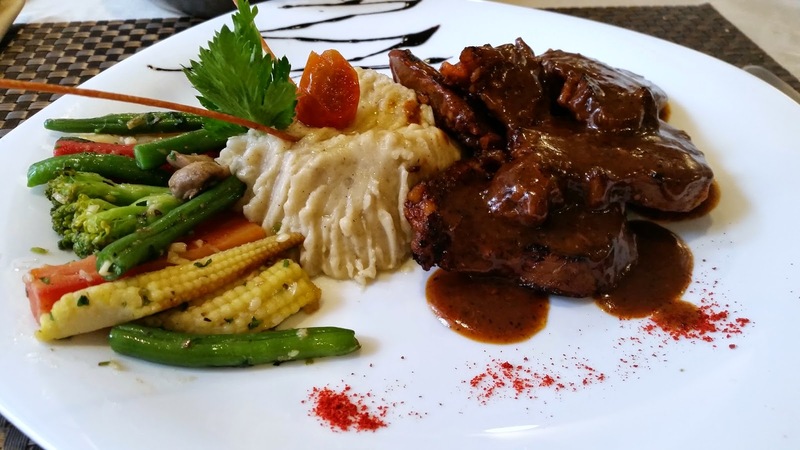 Roast Lamb was soft and succulent presented in a very appetizing way. I liked the thick dark sauce in which it was served. Fish Florentine, the baked fish dish disappointed us. I thought it was a bit overbaked with too much cheese and less of fish. The only redeeming feature was the garlic bread served with it. The bill for the above came to Rs 1500, and overall we were quite satisfied. Near our apartment in Gol Park, a small eatery Mango People was hosting a pork festival, and a pork lover like me could not help but pay them a visit. The special menu had about a dozen of pork items. The Mushroom and Bacon soup was thick and creamy – with a lot of fried bacon pieces. 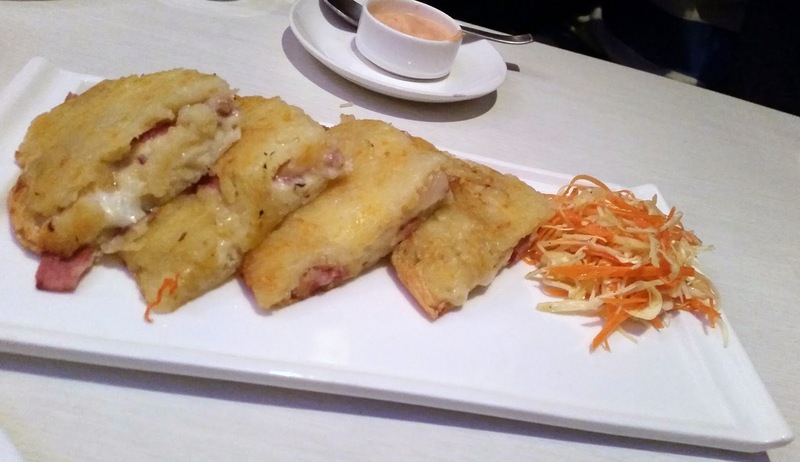 The starter Pork Roasti was a mashed potato pancake stuffed with cheese and bacon. It was a wait staff suggestion, and we kind of liked it with the dip served with it. However, best of the lot were the Grilled Pork Ribs. Served with sides of bread and veggies, the pork meat was so soft that it slid off the rib bones. This was unexpectedly one of the best dishes we had on the trip. The bill for the above three dishes came to around Rs 800. 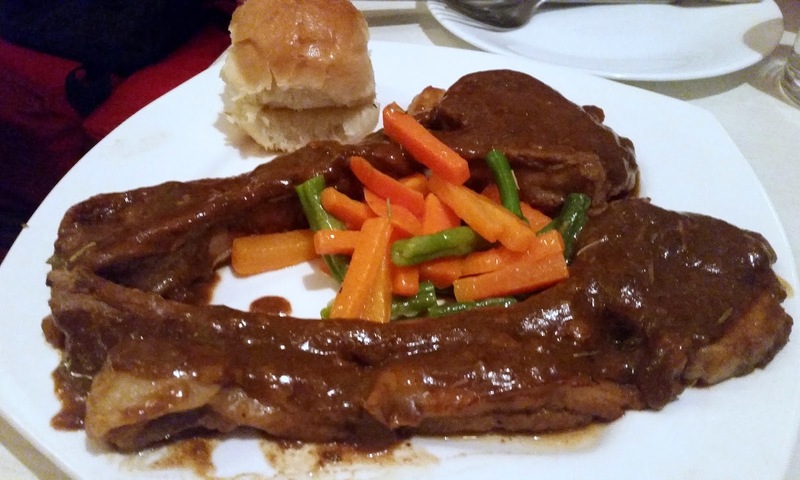 For a foodie like me, it was a great fortnight of eating out in Kolkata. But for exhausting my wish list, I need to spend at least a year there.